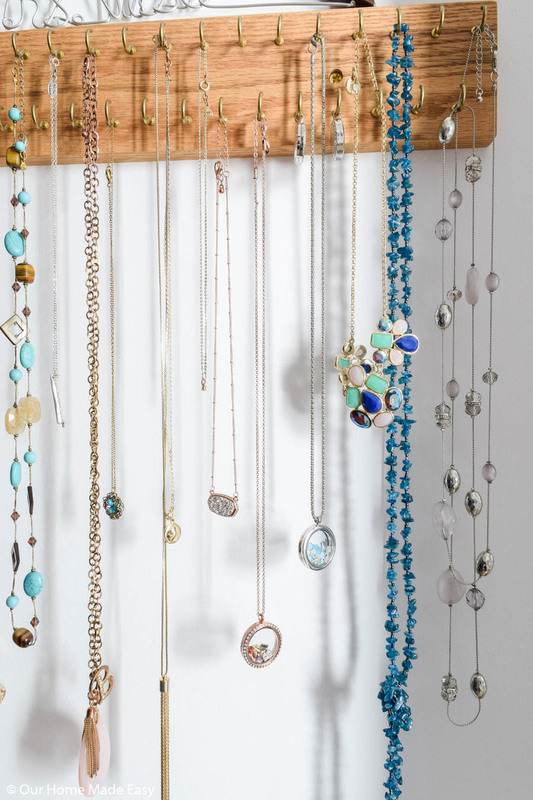 DIY Ideas on How to Organize Your Jewelry for good! 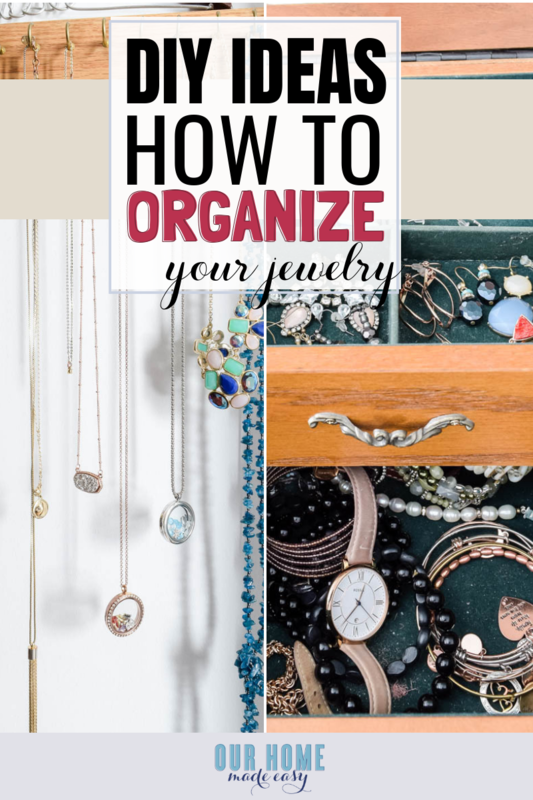 Declutter and organize your jewelry so that you can quickly find what you need in the mornings! 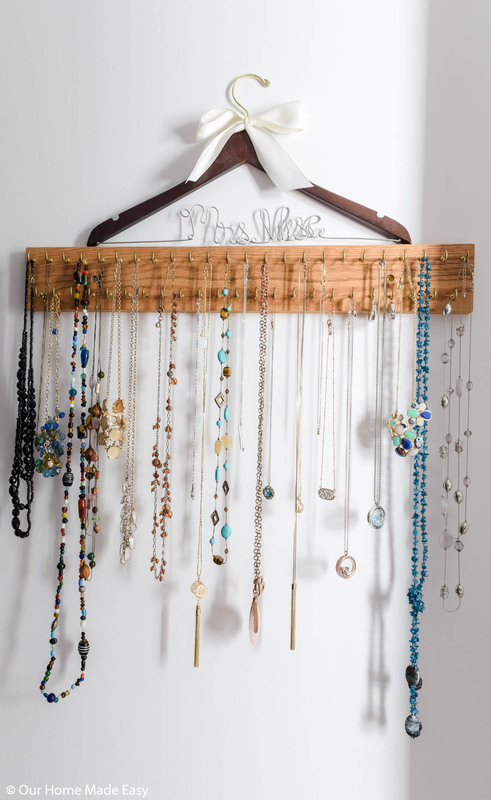 Includes several DIY Jewelry organizers for you to make yourself. 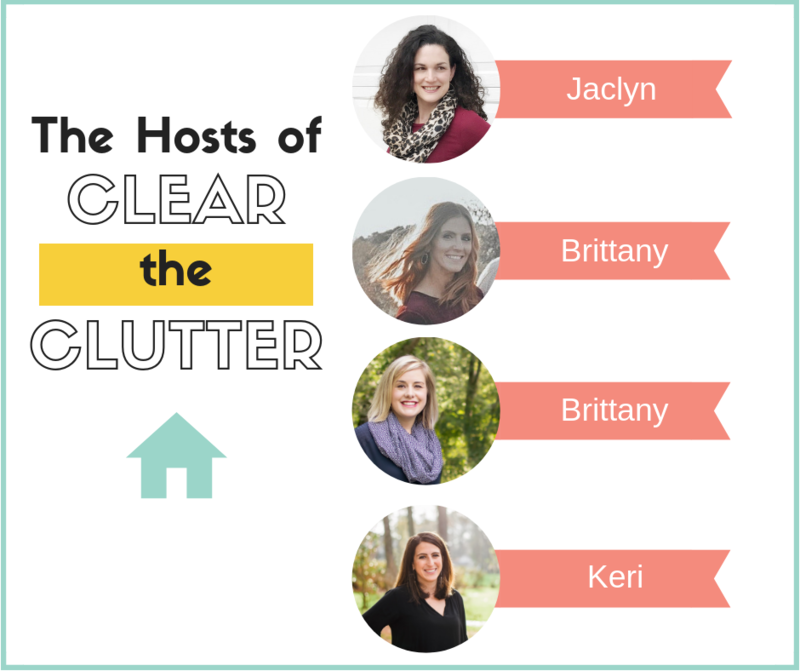 Today starts Week #3 of ‘Clear the Clutter,’ a 5 Week Organization Challenge with a few other awesome bloggers! 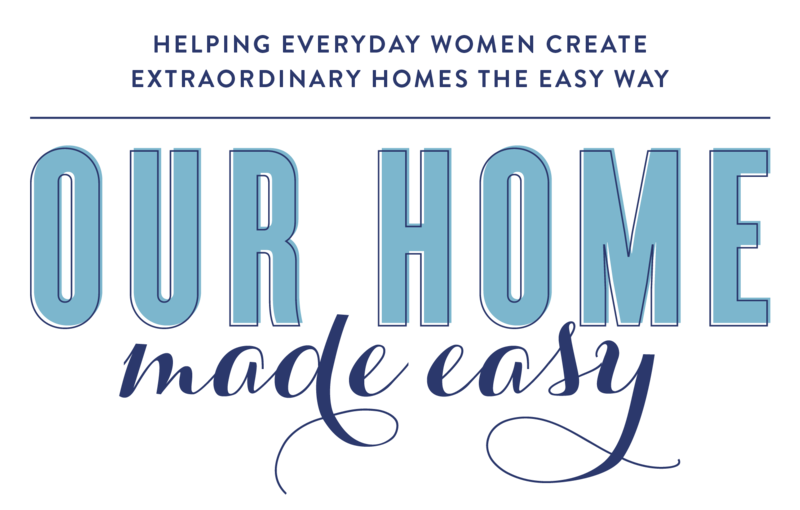 Over the next 2 weeks, we will be organizing our homes with you! Last week we organized our mudroom and showed you how to organize any size mudroom in just a few steps for anyone who needs an easy way to start organizing. 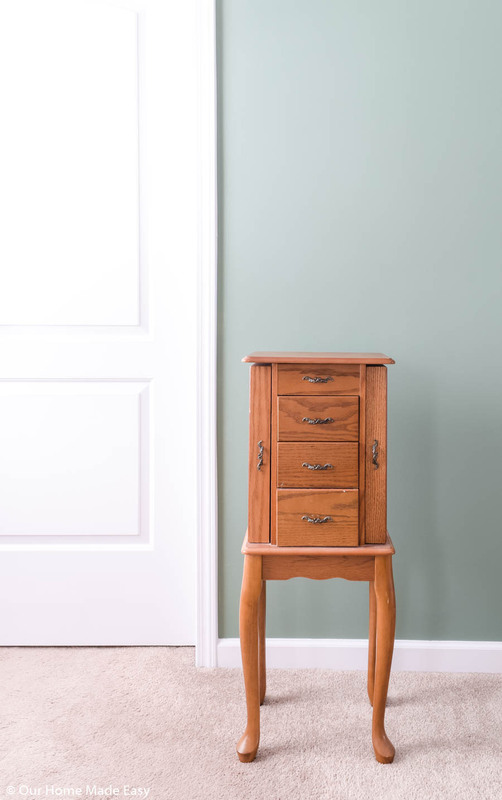 Do you have a piece of furniture that somehow travels through life with you? Even if it’s not something you’d ever think to keep? 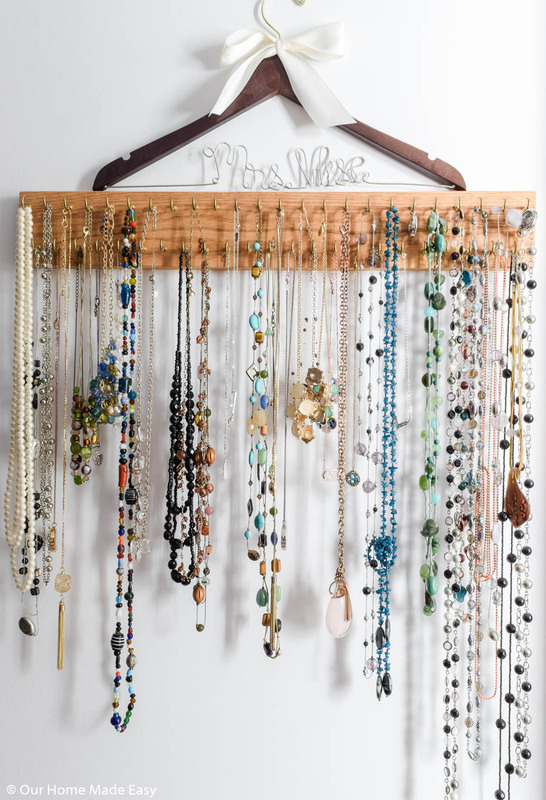 For me, it’s this jewelry organizer. From about 2002. My parents gifted one to each of my sisters and me for Christmas one year while we were still in high school. 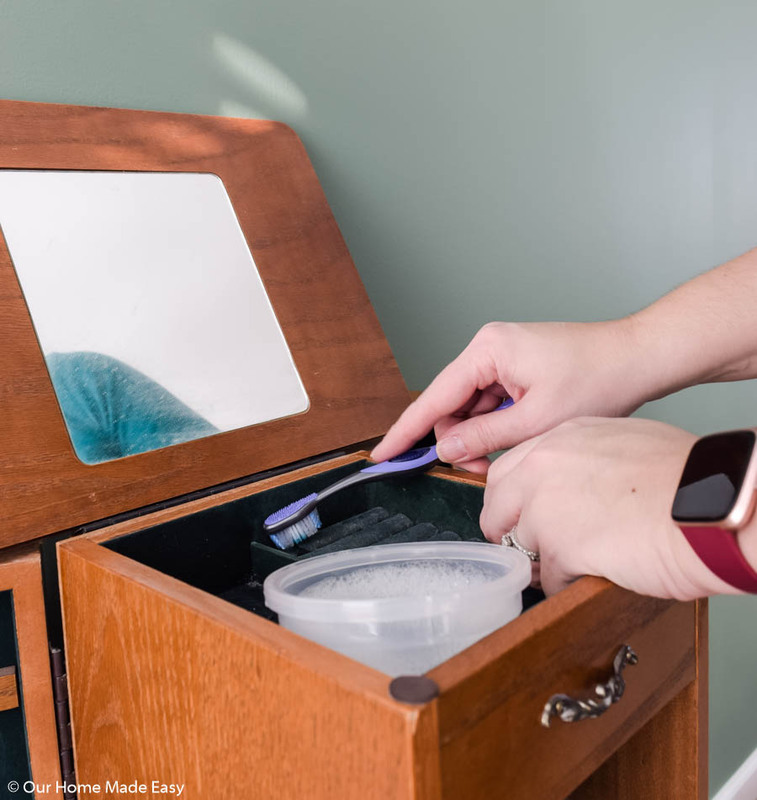 This oak jewelry organizer has survived numerous moves around the University of Toledo, a cross country move to Biloxi, Mississippi, then Daphne, Alabama, and now– it’s in Ann Arbor. And it’s still pristine from the outside. Who knew? I kinda sorta have categories for the earrings on top, but really, the world goes in, but nothing ever leaves. Hoops in one square, danglers in another, posts in the top right, and all the other stuff. Since this week of the challenge is devoted to our bedrooms, I couldn’t help but think of this poor organizer and how nothing ever gets taken out of it. Really– when we relocated to Ann Arbor, I had the moving company tape it closed, contents and all! Also needing some decluttering love? My collection of necklaces. Isn’t that the best way to use the ‘Mrs.’ hanger from our wedding? What is it about jewelry? 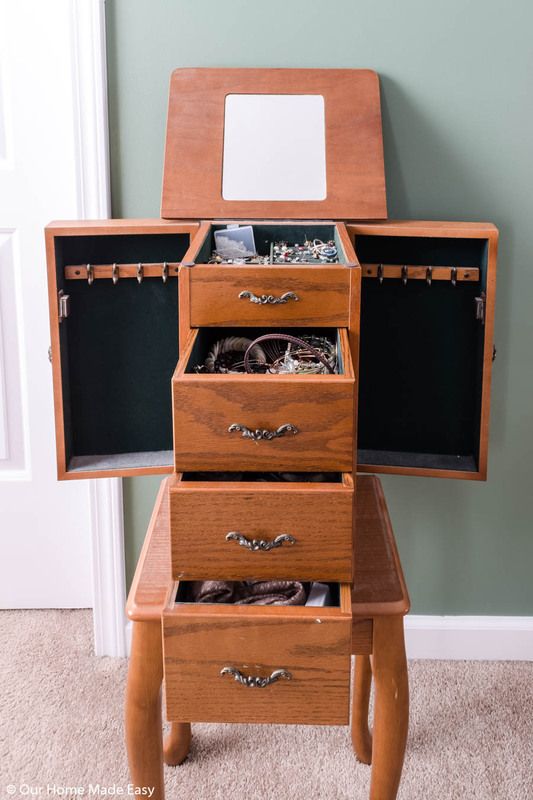 My dad made this necklace organizer for me several years ago and like the armoire, it’s traveled around the Midwest & Gulf Coast. But it’s time to start clearing out! As I cleared out the earrings, I started giving several pairs back to Aubrey. 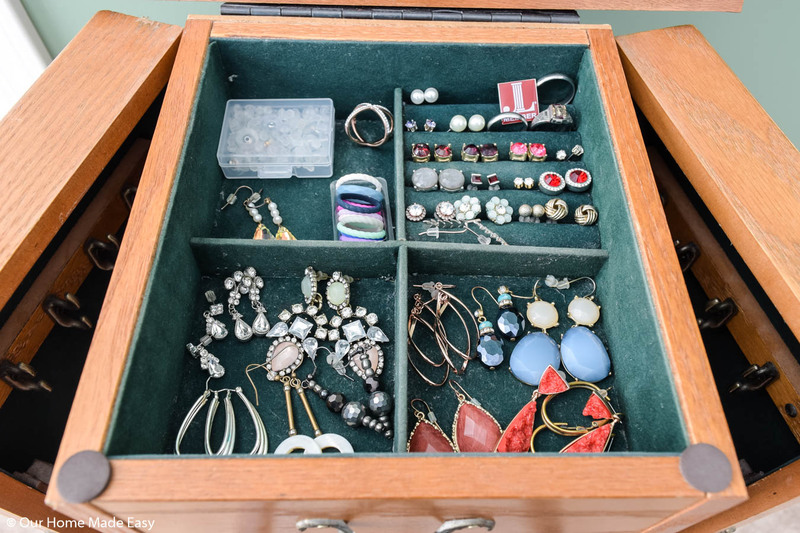 Somehow over the past year, she started slipping her own earrings into my armoire! After Christmas, she is now the proud owner of THREE small jewelry boxes (thanks Grandmas!) and has lots of room to store her things. Once I cleared out the entire box, I took cleaned it with some warm water, dish soap, and an old toothbrush. 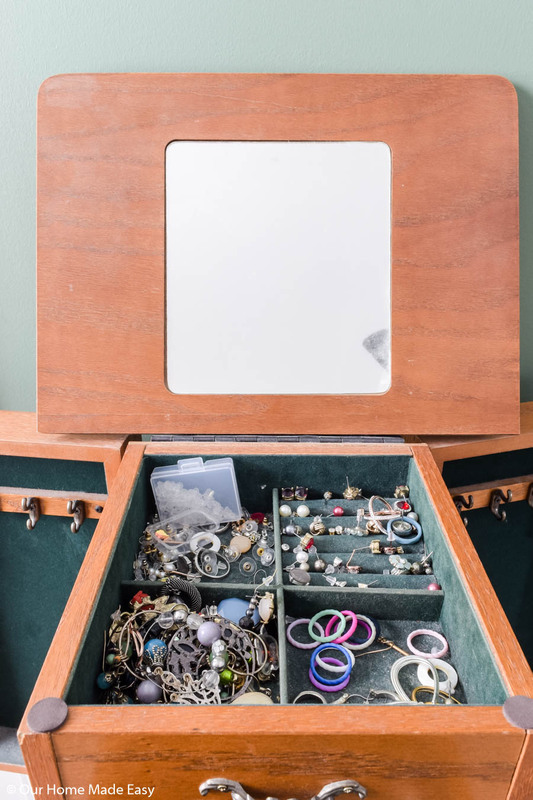 For those of you wondering why I’m choosing to declutter my jewelry rather than keep it— my taste has evolved over the years or I have some sentimental memory behind some of the pieces. Some were necklaces, earrings, or bracelets of weddings I was a bridesmaid. However, I’ve never found an occasion to wear these pieces in the last ten years. I’ve decided to donate them to an organization that could use them. That plastic bag? Full of bracelets and earrings! 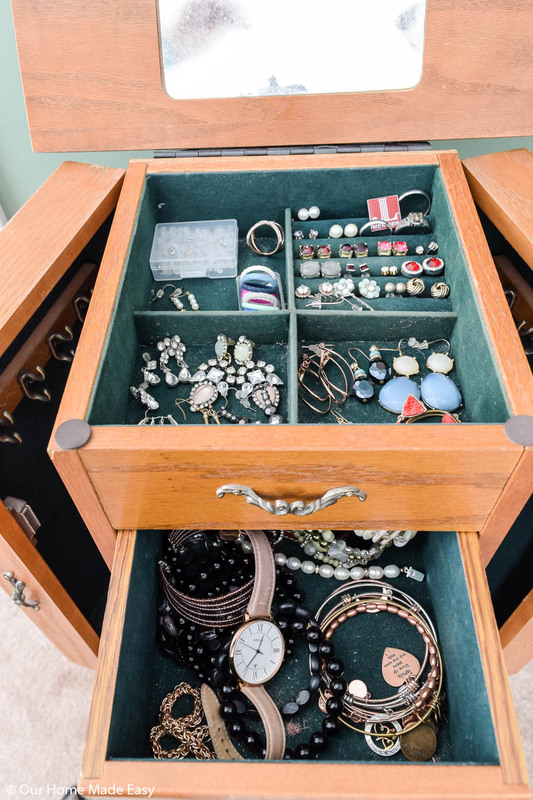 And honestly– I was spending too much time searching through my jewelry box in the morning. Every day, jewelry is the last thing that I put on before I walk out of the house. Since I’m already dressed, I know which necklace I want to wear for the day. Looking through jewelry I was never wearing was costing me too much time. I use the Qalo rings for workout days! Now, the earrings are organized by silver and rose gold rather than post type. I kept a few sentimental pieces, like my custom made wedding jewelry, our engineering pinkie rings, and even my high school ring. 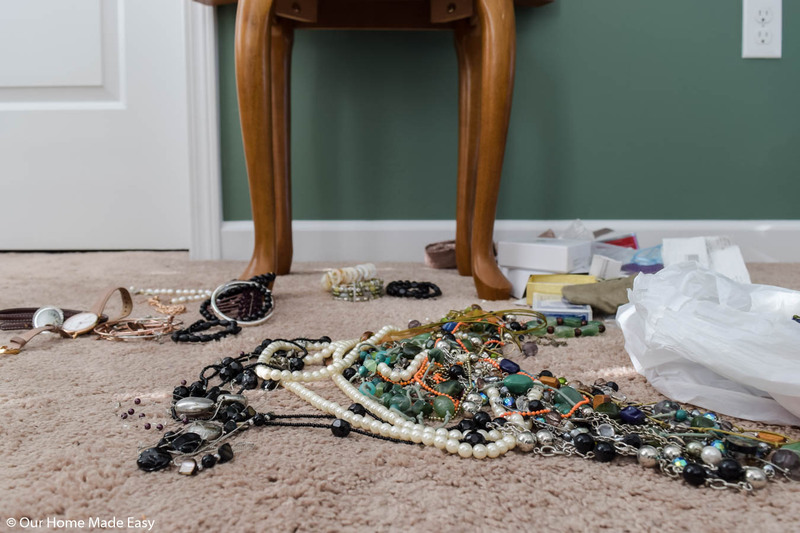 I decluttered more than twenty necklaces. Most were worn, tarnished, or simply no longer my style. At one point in college, I was the queen of having a necklace that went around your neck twice for every single outfit. But I haven’t worn one in that style for years. Now I feel better about finding exactly what I want in the mornings before work. And this also gave me a fun excuse to try on numerous items to see if they still worked for me. Who doesn’t love to dress up when you’re in your thirties? 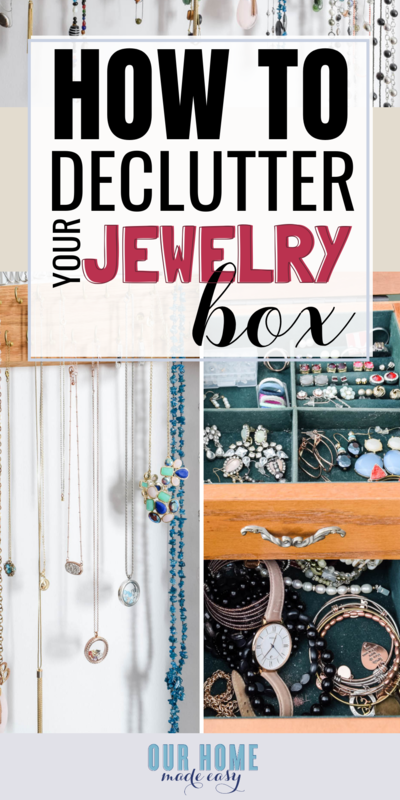 If you are wanting to DIY organize your own jewelry box, I found several great projects for you to start! Simply click on any of the links below to be taken to the project page. And that is week #3! 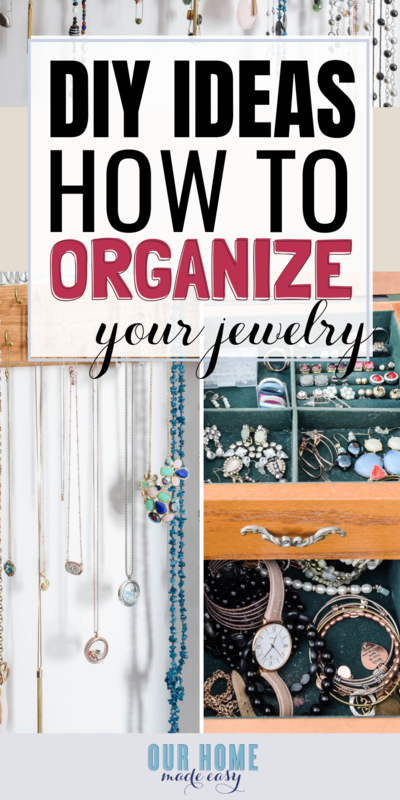 Are you ready to declutter and organize your jewelry? Let me know in the comments below! 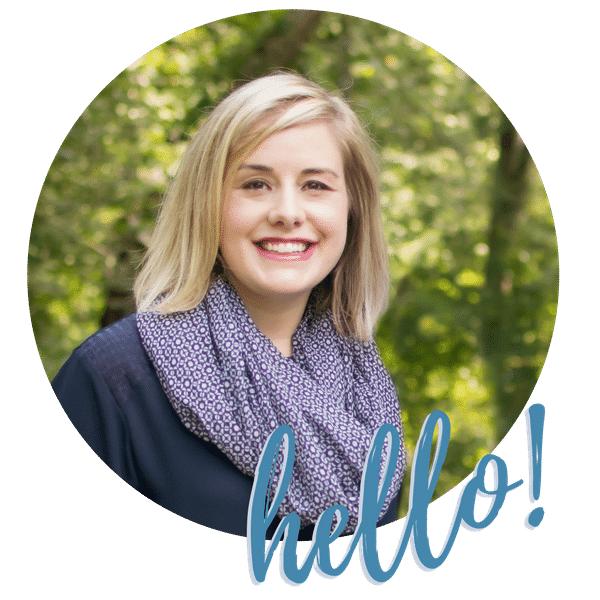 I am so excited to have you join us for the last few weeks of this challenge! « How to Use a Planner Effectively & Tips!